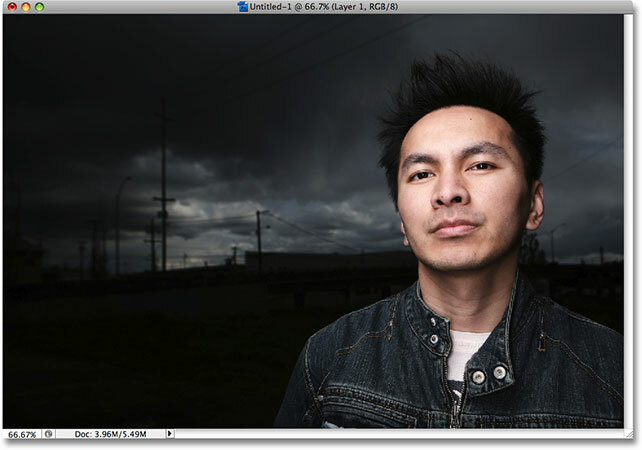 In this Photoshop tutorial, we're learn how to create a mirror image effect with a photo, turning the right half of the image into a mirror reflection of the left half. You've probably seen this effect used everywhere, especially in movie posters or album covers, and as with many of Photoshop's classic and most popular photo effects, it's very easy to create. This version of our Mirror Image Effect tutorial is for Photoshop CS5 and earlier. 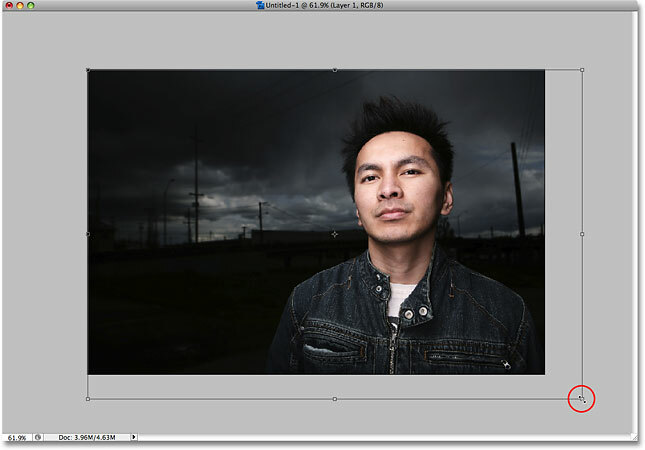 For Photoshop CS6 and CC (Creative Cloud) users, check out our fully updated version. The final "mirror image" effect. Click OK when you're done to exit out of the dialog box. A new blank document will appear on your screen. 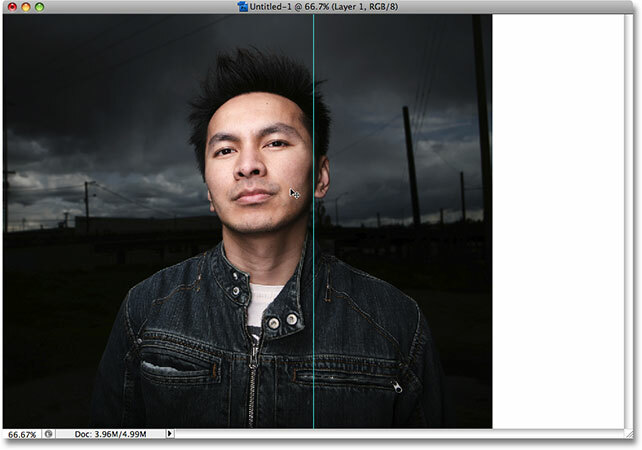 Go to Select > All to place a selection outline around the entire image. Go to Edit > Copy to copy the entire image into memory. Switch over to the blank document, then go to Edit > Paste. The photo now appears inside the new document. The photo appears on its own layer above the Background layer. You can close out of the original photo's document window at this point, since we no longer need to have it open. 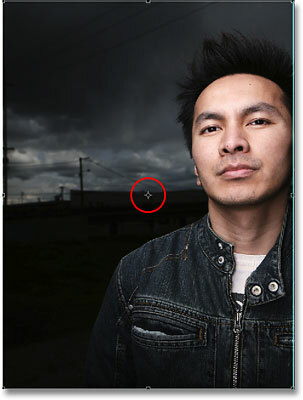 Go to View > Fit on Screen if your image extends beyond the visible area. Hold Shift and drag any of the corner handles to resize the image. You can also move the image as needed to reposition it by clicking anywhere inside the Free Transform box and dragging the image around. Just don't click on the small target symbol in the center of the Free Transform box, otherwise you'll move the target symbol, not the image. When you're done, press Enter (Win) / Return (Mac) to accept the changes and exit out of the Free Transform command. To zoom the image back in so it once again fills up the entire document window, simply choose Fit on Screen again from the View menu just as we did a moment ago. You can also select Actual Pixels from the View menu, which will zoom the image to a full 100%. The keyboard shortcut for Actual Pixels is Ctrl+Alt+0 (Win) / Command+Option+0 (Mac). Go to View > New Guide. Set the Orientation to Vertical and enter 50% for the Position of the guide. A vertical guide has been added down the exact center of the document. Don't worry about the guide appearing in front of your image. It's there only to help us while working in Photoshop. Guides are known as "non-printing elements", which means they won't print, or appear if you save the image for the web, even if you forget to remove them when you're done. Drag your main subject to one side of the document, using the guide as the "flip point". Don't worry about the solid white area that's now appearing on the side of the photo. Everything on that side of the guide will be replaced with a mirrored version of what's on the other side in a moment. Drag a selection around whichever side you want to mirror. The selected half of the document now appears on a new layer in the Layers palette. The small target symbol in the center of the Free Transform box. Drag the target symbol (rotation point) to the Free Transform handle in the center of the document. Go to Edit > Transform > Flip Horizontal. The right side of the document is now a reflected version of the left side. Go to View > Clear Guides to remove the guide. As I mentioned earlier, even if you forget to clear your guides when you're done working on the image, there's no need to worry because they won't print and they won't appear in the image if you save it for the web. The final "mirror image" photo effect. And there we have it! 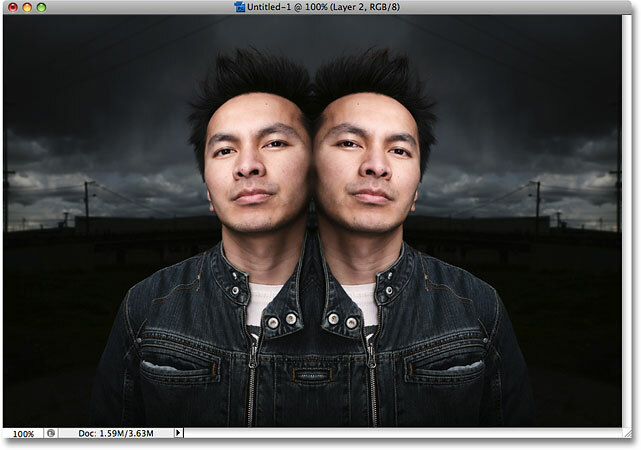 That's how to create a mirror image effect with Photoshop! 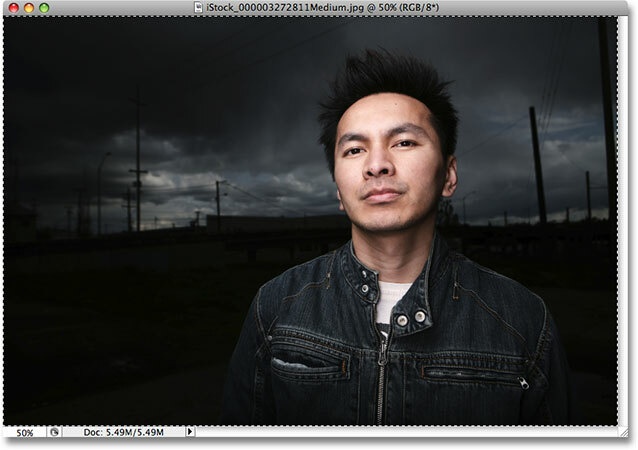 Visit out our Photo Effects section for more Photoshop effects tutorials!